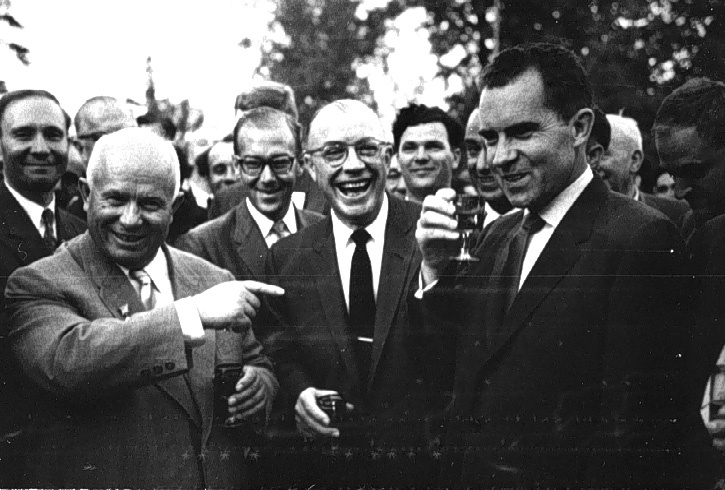 On July 24, 1959, Vice President Richard Nixon and Soviet Premier Nikita Khrushchev held a public discussion at the American National Exhibit in Moscow comparing the technologies of the two powers. In the debate they discussed household items such as color televisions and in the process reviewed differences in ideology and the quality of life in both countries for the average citizen. This edited transcript appeared the following day in The New York Times. 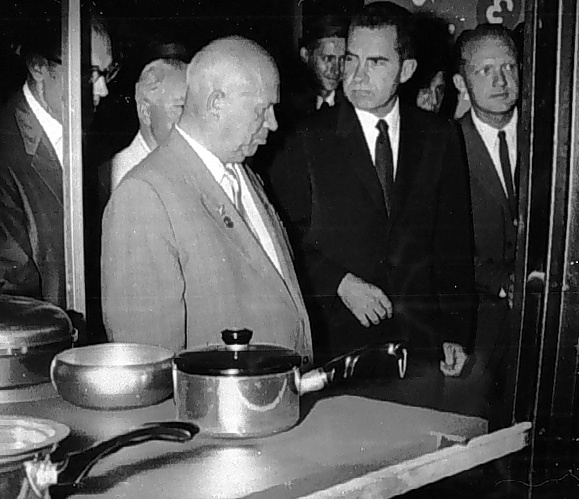 The two gentlemen strolling through the American kitchen exposition in Moscow. He said American houses were built to last only 20 years, so builders could sell new houses at the end of that period. At the end of the day, The two men succumb to one of the pleasures of capitalism, an ice cold Pepsi Cola after a hard day's debate.